ARCADIA is the trademark of a line of natural health products, of natural cosmetics line, and of natural parfums produced in Italy by C.S.P.A. Centro Servizi Professionali Associati S.r.l. and distributed in the USA by MASH WORLDWIDE TRADING, LLC, with their main office located at 3245 Heritage Drive NE , Kennesaw , Georgia , USA . ARCADIA started as a line of natural products designed to naturally help our bodies restore itself through the elements the earth provided to it's full self. Since these are already present in the body, they are easily absorbed and utilized by the body's natural metabolism. ARCADIA 's goal is too offer the best products available while at the same time keeping the cost down to its clientele. Research published in magazines around the world has declared that many of today's modern health problems are associated with improper eating and a sedentary way of life. 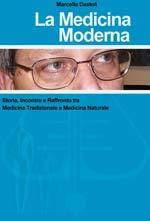 As impossible as it may seem, many of man's medical problems have found a valid coadjutant, support and often solution, in to bring inside the organism natural ingredients that because of a chaotic life and of a non correct feeding, in the time, are decreased or entirely non-existent. The basis of our work and research has always been with the total respect of the human being, whom, for whatever reason is subject to suffering. These results provide the best stimuli and support for our activity of research to constantly strive to provide natural cures and remedies for common ailments and conditions. The FDA, Food and Drug Administration in the USA has reviewed ARCADIA 's product line . 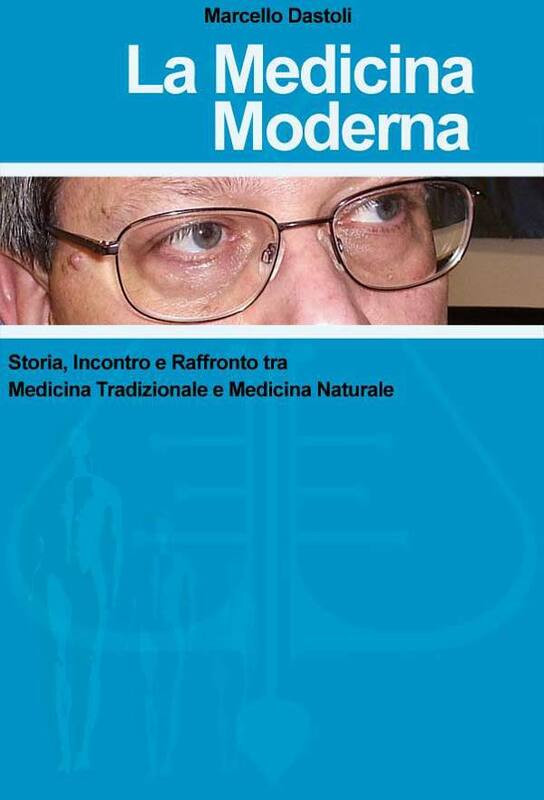 The cultural and evaluation system of analysis for the USA provides review to say that these products have not been found as harmful for the human body and can be offered in free commerce. In Europe , particularly in Italy , the Office of Health has verified that the products are non-toxic and not dangerous to one's health. In addition they provide controls which specifies the quantities for each ingredients on a daily bases to make sure they are safe to consume. 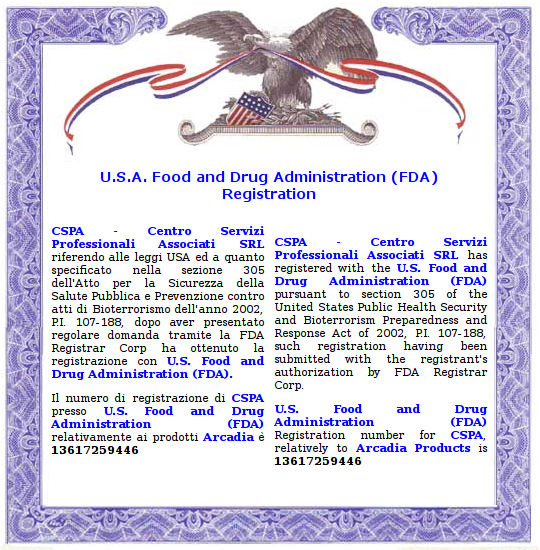 All ARCADIA products have been formulated to meet both the Italian Office of Health and the FDA-Food and Drug Administration for the USA . Therefore, ARCADIA produces two different types of formulas: one valid for the American market (the difference being a more powerful dosage and giving results sooner) and the other formula for Italy and the European market (which requires a less powerful product which is taken over a longer period of time). Why is ARCADIA different than other products? ARCADIA always has in mind our customers' best interest, to keep cost down while producing the best and highest quality product. It is always our main intent to produce products that will help both men and women alike to cope in a society filled with day-to-day stress and pressures which has produced medical problems in their life. An important factor of good health that is every bit as important as the aesthetical aspect is the physical aspect. That is why, it is we put forth our best efforts to produce the very best for our clients and have developed a line of cosmetics for man, woman and child which integrates perfectly into the natural line of products produced by ARCADIA . This has brought us to produce ARCADIA lines of products into franchising all working in the name of ARCADIA , which sells exclusively only ARCADIA products. In regards to Europe, ARCADIA will be expanded in the year 2004 to include, in addition to Italy, even Spain, Greece and Poland with other European Nations to follow. In regards to the American continent, ARCADIA products it will be commercialized in Mexico , all of Latin America even Canada , all made possible by C.S.P.A. Srl and by MASH WORLDWIDE TRADING L.L.C. C.S.P.A. Centro Servizi Professionali Associati Srl , with headquarters in Rome , Italy , will expand the activity distributing ARCADIA into the European Market as well as Arabs Countries and Australia . by C.S.P.A. Centro Servizi Professionali Associati S.r.l. You can buy ARCADIA products through our online store SHOP-ONLINE or just by contacting us.